Factoring is a fast and efficient financing option, providing cash now for your invoices due to be paid later. When cash flow is crucial, waiting for a bank loan may not be an option that is fast enough! There are many reasons to factor your accounts receivables and today I will focus on speed. Hurry up and wait is what can happen when you attempt to secure a loan from the bank. Answering many questions, and gathering paperwork relating to the finances of your company may still end in disappointment. Have you offered your customers payment terms? Factoring your invoices will enable you to easily and promptly receive cash upon completion of the job rather than waiting up to 90 days for payment. How does invoice factoring work again? Let me emphasize the importance of fast. If you check out factoring companies they will all mention how quickly you can receive cash on your invoices, but what does it really mean? Stop and think a moment about how much money this can really save you, as well as helping to make you more profitable. Fast funding means you keep your cash flow moving, giving you access now to working capital you were not expecting to see for another 30-90 days! Consider for a moment your time management. Imagine the amount of time you will save not having to follow up, or collect payment from your customers. Knowing you do not have to be concerned with debt collection removes another obstacle to quick cash flow success. Once you finance your accounts receivables you need never worry about invoice collection again. 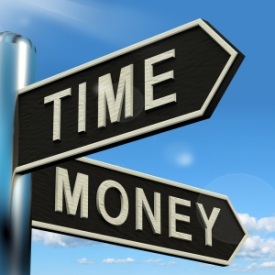 At Bay View Funding we promise speed in another vital area – the approval process. I already mentioned how long the application process can take when going to the bank for a loan. We simply want to make the whole experience as efficient and pain free as possible. Our rates to factor are as low as ½%, you can receive cash in 24 hours or less, and fund up to $5 million. We make the process simple with our passionate customer service professionals on hand to help you. We also stand by our promise of excellent customer service with a 100% satisfaction guarantee.